Spain’s historic Santiago de Compostela is known for its pilgrim trail, not to mention its beautiful Old Town and magnificent cathedral. However, it also boasts an impressive array of contemporary architecture. Read on for our insider’s guide on where to see the best pieces in town. 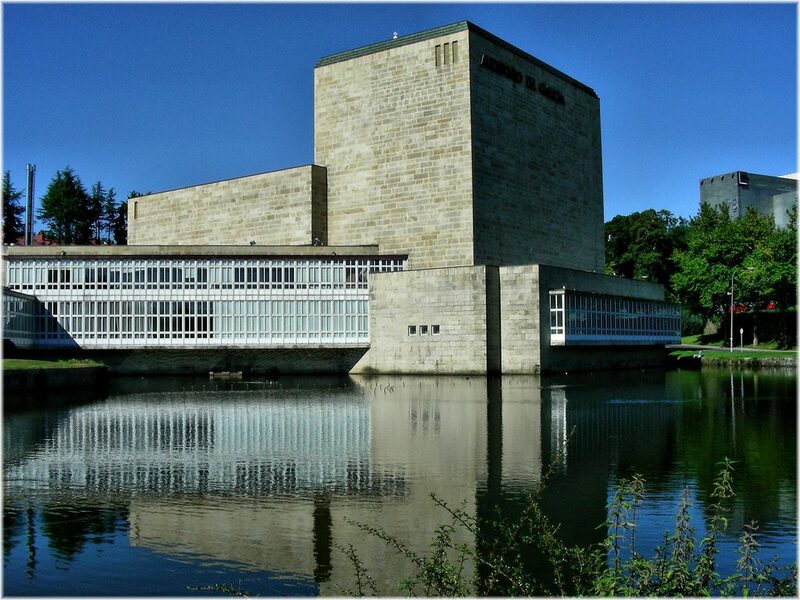 The Auditiorio de Galicia is the musical centre of the region and is the home of the Royal Philharmonic Orchestra of Galicia. Designed by architects Julio Cano Lasso and Diego Cano Pintos, it was inaugurated in 1989 and has a very modern feel, surrounded by lakes, parkland and trees. 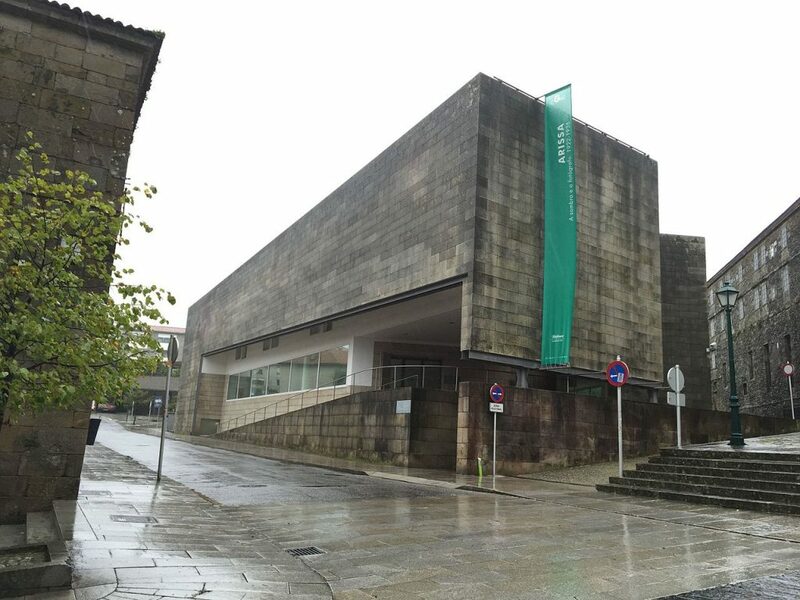 The Centro Gallego de Arte Contemporáneo is the city’s modern art museum. Built between 1988 and 1993, it was designed by Portuguese architect Álvaro Siza Vieira, and sits within the historic centre of the city. Designed to be a modern structure standing in harmony along with Santiago’s ancient convents and churches, it uses traditional Galician granite stone on the inner and outer walls, as well as the roof. Álvaro Siza, in collaboration with landscape architect Isabel Aguirre, also redesigned the garden of the former neighbouring convent, which is now part of the museum. 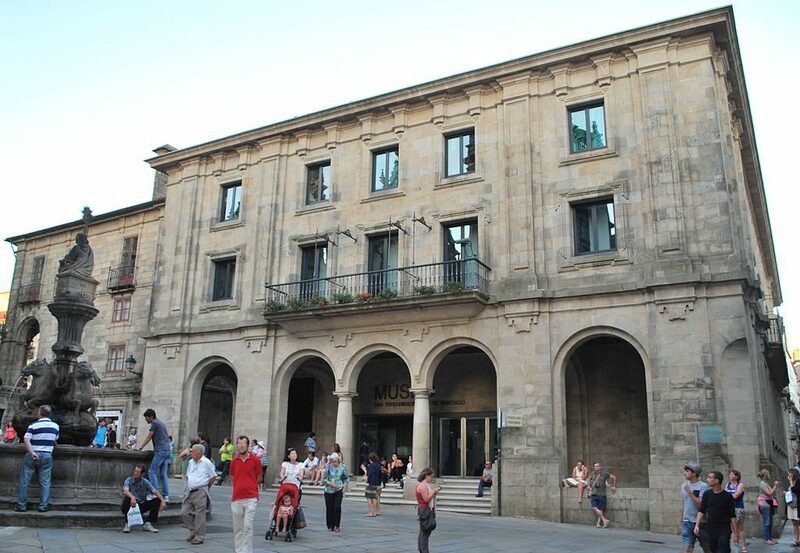 The Museo de Historia Natural is part of the sciences building at the University of Santiago de Compostela. The building was designed by César Portela and sits within the Vista Alegre Park, near the Sarela River. Built as a series of cubes, it features elements such as wooden slats and lots of glass, designed to blend in with the natural environment and look as if it’s floating above the grass. The huge complex of the City of Galician Culture lies the outskirts of Santiago, and measures the same size as the Old Town. The city is home to a library, an opera house, museums and newspaper headquarters, and was commissioned by the Xunta de Galicia in 1999. A competition was held to find the best design and the eventual winner was American architect Peter Eisenman, who submitted a design of undulating roofs and leaning towers. The two towers were built as a tribute to fellow American architect John Hejduk. Visitors interested in architecture should visit the permanent exhibit located in the city entitled ‘Peter Eisenman, A Cidade‘ to discover all about how it was created. The School of High Musical Studies is located within the historic Finca Simeón estate, near the Vista Algre Park, and is dedicated to teaching music as a profession. 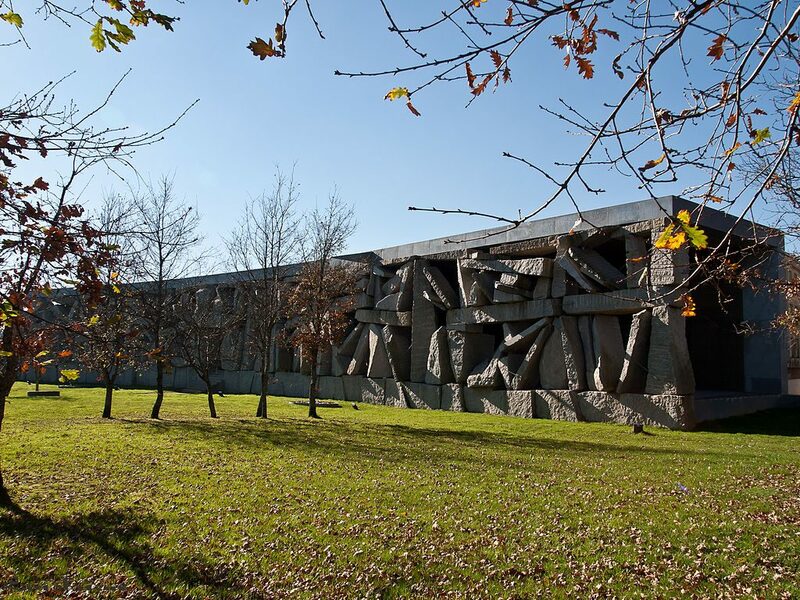 It was designed by Madrid architect Antón García Abril, son of the famous composer of the same name, and is a unique cube-like structure made from large granite blocks. The interior is flooded with light from the central skylight, while special thought was put into the acoustics of the rooms. The Museo das Peregrinacións e de Santiago is housed in the old Bank of Spain, which was originally built between 1940-1945. From 2004-2012 however, the building underwent a complete re-design by architect Manuel Gallego Jorreto, who preserved just the building’s façade. Inside is contemporary, modern and light with the use of an central atrium and skylight. Perhaps one of the most unique buildings in Santiago is SGAE, the headquarters of the Sociedad General de Autores y Editores (Society of Authors and Writers). Designed by Antón García Abril after he created the Escuela de Altos Estudios Musicales, it was built in 2006. Comprising two curved planes, one façade is made from colourful printed glass, while the other is like a puzzle of huge granite boulders. 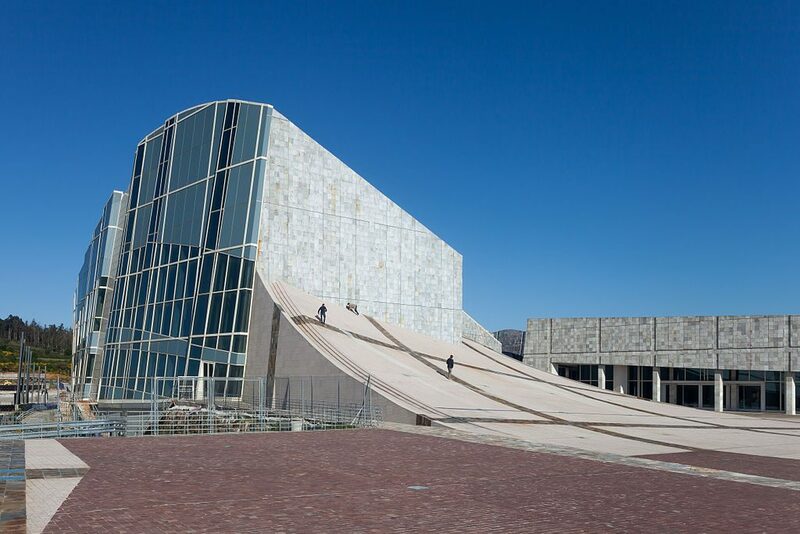 As well as being the SGAE headquarters, it’s a cultural space, which holds many concerts for children and teenagers, and productions by Escena En Familia, one of Spain’s best puppet companies.